Welcome to Westmoreland Chiropractic & Rehab Associates! Located in Export/Mamont and Greensburg, PA, the leading health professionals at Westmoreland Chiropractic and Rehab Associates are dedicated to helping you achieve your wellness objectives by combining the skills and expertise that spans the entire chiropractic wellness spectrum. Dr. Reed Nelson, Dr. Michael McClure, Dr. Wesley Orvosh, Dr. David Nicols & Dr. Daniel Lovette are commited to bringing you better health and a better way of life by teaching and practicing the true principles of chiropractic wellness care. 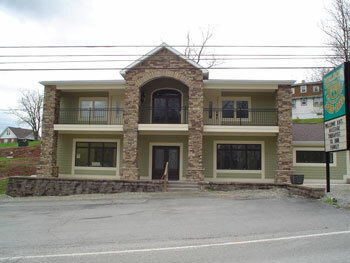 Patients seeking treatment at Westmoreland Chiropractic and Rehab Associates are assured of receiving only the finest quality care through the use of modern chiropractic equipment, techniques and technology. The doctors and staff at Westmoreland Chiropractic and Rehab Associates have a genuine concern for your well-being! Why should you choose us? That's simple. We have it ALL!! Our office is extremely unique in that we are not just a "crack and pop" office. We give each patient the time and care that they need to return their body to proper function. Yes, we do manipulations, but very few offices offer stretching, nutritional products, massage therapy, ultrasound, diathermy, electrical stim, flexion distraction, spinal decompression and a complete rehabilitation facility with state-of-the-art equipment!! We also are licensed to do Activator Technique and one of the few area providers that are official licensed Graston Technique providers!! YOU DON'T NEED TO GO ANYWHERE ELSE!!!! "My chiropractor Dr Lovette was again a lifesaver. I had a horrible migraine and meds weren't touching it. He popped my hip into place, aligned my spine & popped my neck into place (it sounded like clunks). With the adjustment and cool air - my migraine is gone! :)"